Over 200 senior pupils from Holy Family BNS participated in World Maths Day on the 3rd of March. Each pupil was assigned a user name and password three weeks ago. Since then the boys have been working hard answering over 100,000 math table questions. The questions could be answered from home or from school. 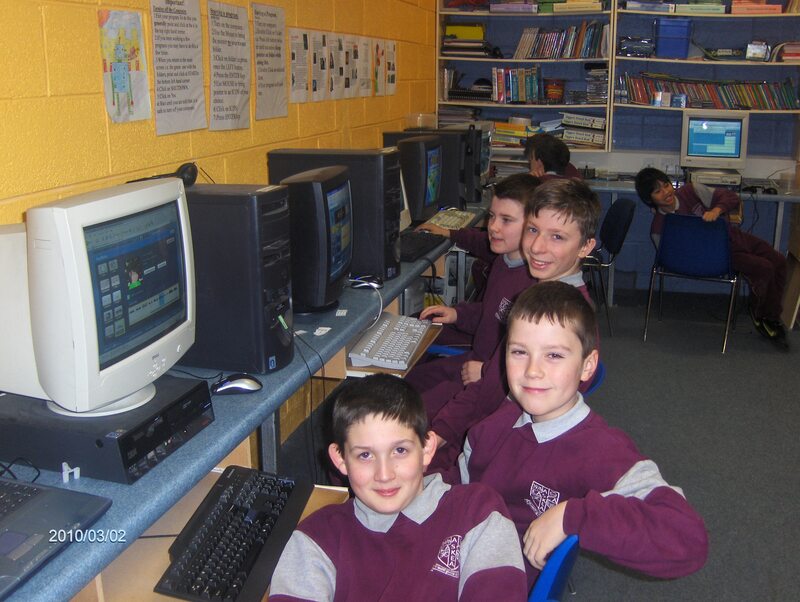 All the senior classes were time tabled to spend 45 minutes in the schools computer room on World Maths Day. The boys with the highest score in each level were awarded a special prize i.e. A Drumstick bar or a Stinger bar! It was a fantastic success with the children competing with other children from all over the world. As you can see from the photos the lads had a brilliant time. Why not visit http://www.worldmathsday.com to see what all the fuss is about! Click on School Activities World Maths Day link on the right.for more photos of this wonderful day.